Germany is a somewhat under-appreciated travel destination. For some reason, it doesn't end up at the top of people's lists of places to visit. Skiers flock to the slopes of the ritzy Austrian and French ski resorts every winter. The beautiful beaches and bays of Spain and Greece overflow with the often less attractive bodies of European holidaymakers in the summer months. And castles and concerts in Budapest, Vienna and Prague welcome the busloads of visitors on tours of the 'cultural triangle'. Sure, Germany does Christmas markets well. You can probably catch a weekend break to Munich or Berlin from most of the airlines. And the Romantic Road and Rhine cruises tend to make it into the travel pages on a regular basis. But it's rare to see a location in Germany featuring in a mainstream travel company brochure. Despite the extremely informative and expensive marketing from the national and regional tourist offices, the country doesn't seem to feature all that highly when it comes to people planning their next vacation. There's certainly a feeling that the biggest fans of Germany tend to be expats who have ended up living or working in the country. It's only once you experience the regions and the diversity of the landscapes and culture that you begin to appreciate how much more there is to discover. So that's German Sights in a nutshell - a guide to some of the interesting places to visit in Germany which have been experienced during visits to the country. 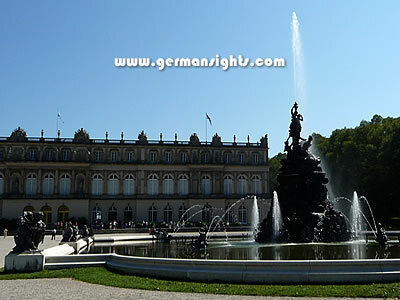 The German Sights website isn't an official tourist marketing site. That means, hopefully, that you get an independent and unbiased view of the places covered. German Sights likes smaller towns such as Schmalkalden and Mittenwald even more than Neuschwanstein Castle. It loves to cover places where the tourist office hasn't got around to creating an English version of their website. It's hoped that makes the site a little bit different from the large travel portals who are chasing the search engine hits for the most popular locations. Sites or accommodation or other businesses are not featured because they have paid for their placement and there is a definite effort to include the rough with the smooth when talking about locations. The hope is that you, the visitor to German Sights, find the information useful if you are thinking about a trip to the country.